A destination enjoyed by visitors from across the globe and a river vibe loved by those who work and live in the area. London Bridge City is surrounded by some of the City’s most famous landmarks and is steeped in rich British culture. This iconic London neighbourhood offers high-flying workers, and laidback visitors alike, an abundance of world-class food, shopping and entertainment, as well as some of the best London tourist attractions. Rubbing shoulders with the likes of Borough Market, The View from The Shard, HMS Belfast, Tower Bridge and the Tower of London, this vibrant and forward thinking community is one of the most visited riverside London destinations. With half a mile of river frontage along the Thames between London Bridge and Tower Bridge, and a total of 21.5 acres of space, it’s a vast and lively mixed-use environment. Encapsulating 3 million sq ft of office, retail and leisure space, along with private residential apartments, the estate is overflowing with historical charm, breath-taking architecture and sensational views. This desirable neighbourhood hosts a contemporary community of some of the world’s most visionary businesspeople, dynamic residents and those seeking an indulgent, yet balanced lifestyle. With an innovative spirit ingrained at the heart of this iconic London Bridge City neighbourhood, it’s perfect for those wanting to embrace new experiences, seek self-discovery and meet like-minded people from across the globe. From riverside restaurants, family friendly events and superb London Bridge office space, this pioneering slice of London delivers everything, all in one place. London Bridge City is a vibrant district with a fascinating past and present that has displayed the same core values throughout the ages; community spirit, excellent transport links and pioneering inhabitants. London Bridge City highly values its British heritage and cherishes its rich history that dates back more than 2000 years. It was here that the first ever bridge in London was erected as part of the Roman conquest which supported their mass road-building strategy to help cement their invasion. Most famous for its trading docks, London Bridge City’s historical prominence began to firmly root itself in the 1600s. From there, this iconic London neighbourhood was at the heart of British and international trade for centuries, famously known as London’s Larder. Its latest transformation sees it enjoying a thriving business scene, a culturally rich riverside London community and world famous London tourist attractions. It is a true gem in Great Britain’s crown. 1651 : Pioneering businessman, Alexander Hay, became proprietor of Tooley Street warehouses, taverns and brew houses in London Bridge. His business acumen enriched the area and it began to be a key trading dock for the country. 1666 : The Great Fire of London virtually destroyed the City and the riverside wharfs. 1696 : Joseph Hay (son of Alexander Hay) established an insurance scheme named ‘Ye Amicable Contributors’ and formed the first fire brigade in London to protect the area. 1700s : Hay’s Wharf was used as a refuge for German Protestants escaping persecution, some emigrate to New America. 1838 : Marked the end of nearly two centuries of the Hay family affiliation with Hay’s Wharf. 1840 : John Humphrey Jnr took over the leasehold of the wharf. 1849 : Britain opened up trade with the international market and started importing tea on the much-admired Tea Clippers from China, India and Ceylon. 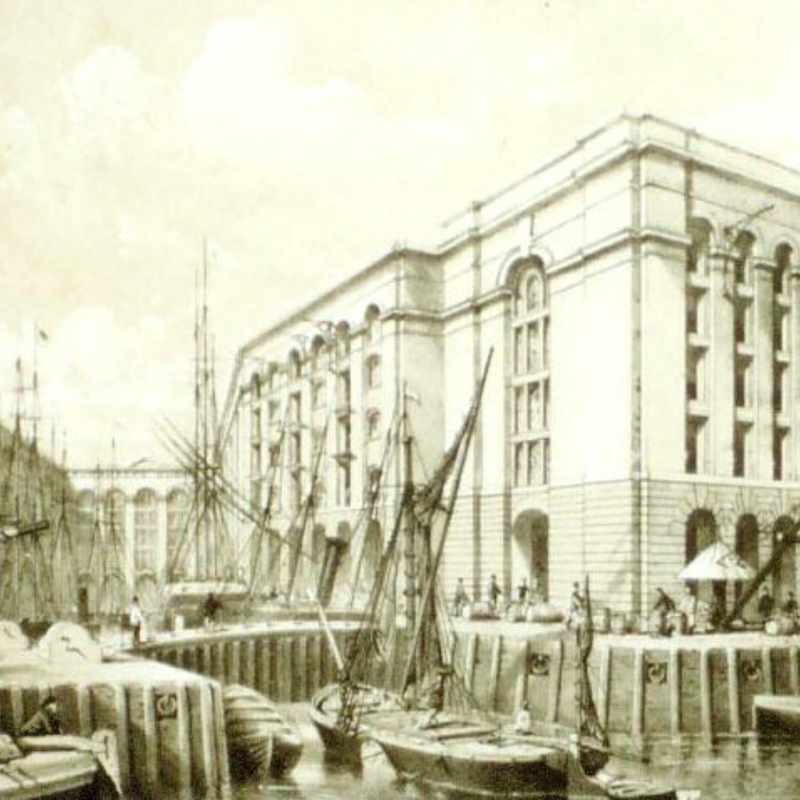 1856/7 : Sir William Cubitt, an acclaimed civil engineer, was commissioned to build a new wharf around an enclosed dock. 1861 : Hay’s Dock was destroyed by the Great Fire of Tooley Street – described as “the greatest spectacle since the Great Fire of 1666”. 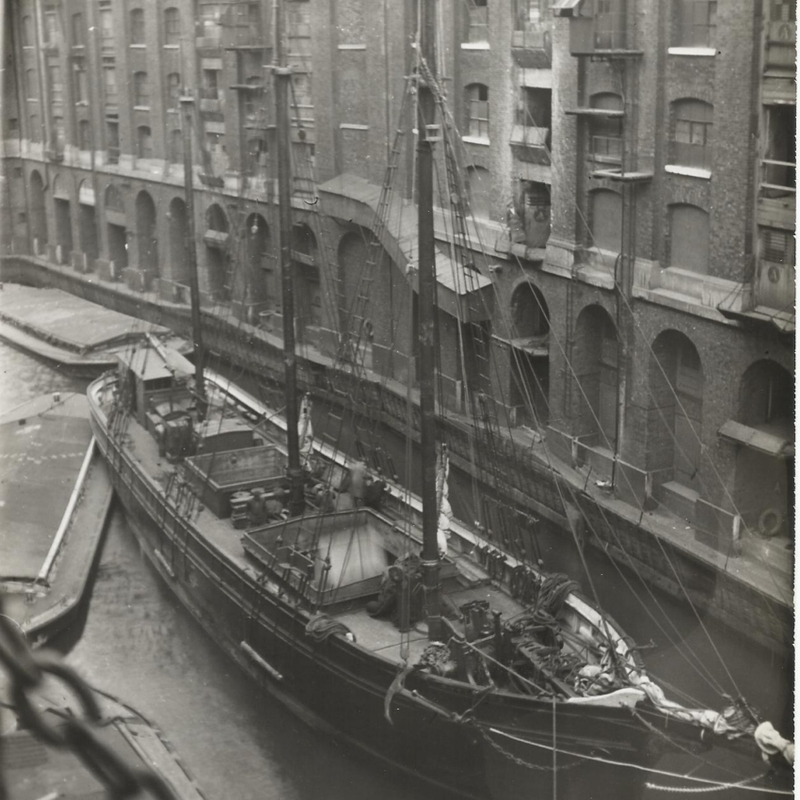 Late 1800s/early 1900s : The Wharf was rebuilt and became a major dockland serving the whole of the British Empire. Handling thousands of tons of dairy produce from abroad, it was named the ‘Larder of London’. Cottons Wharf was converted into the first commercial cold storage warehouse in Britain. 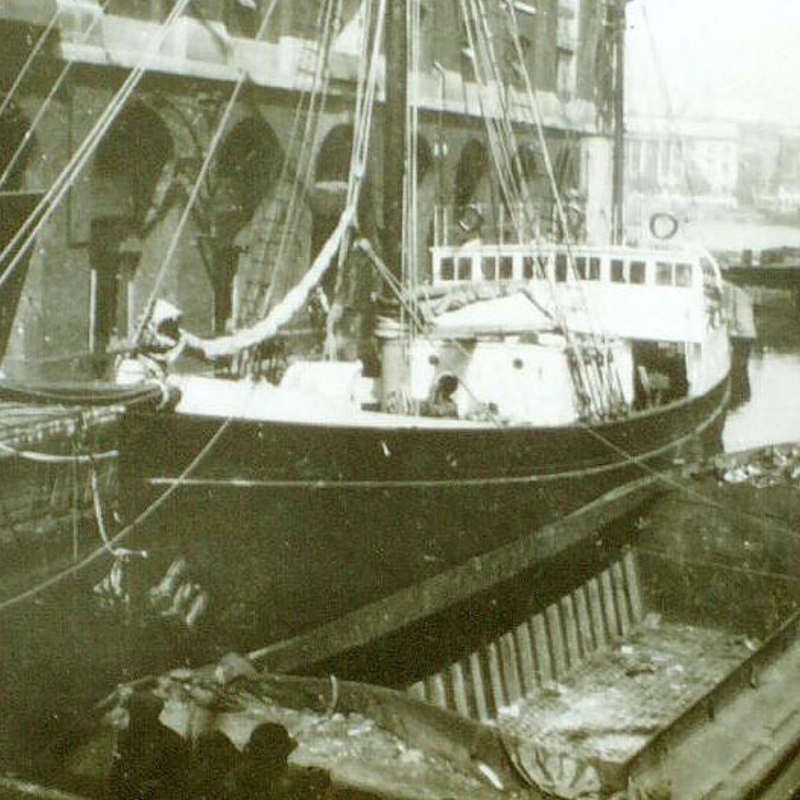 Early 1920s : Ernest Shackleton’s ship, The Quest, was fitted out in Hay’s Wharf for the ill-fated Polar Expedition of 1921-1922. 1940s : Hay’s Wharf was badly damaged during WWII bombings and once again it was rebuilt. 1960 : The recovered dock was handling 2 million tons of foodstuffs within its wharfs and had 11 cold and cool air facilities. 1969 : Saw the demise of the wharfs due to fierce labour disputes with the Dockers and a lack of manpower to unload the ships. A change in trading patterns and containerisation was also to blame. 1977 : Skate City was built and the Queen’s Walk (from Lambeth Bridge to Tower Bridge) was established to mark the Queen’s Silver Jubilee. Early 1980s : The land at Hay’s Wharf was acquired and the regeneration of the derelict docks stretching from London Bridge to Tower Bridge began. It was named London Bridge City. 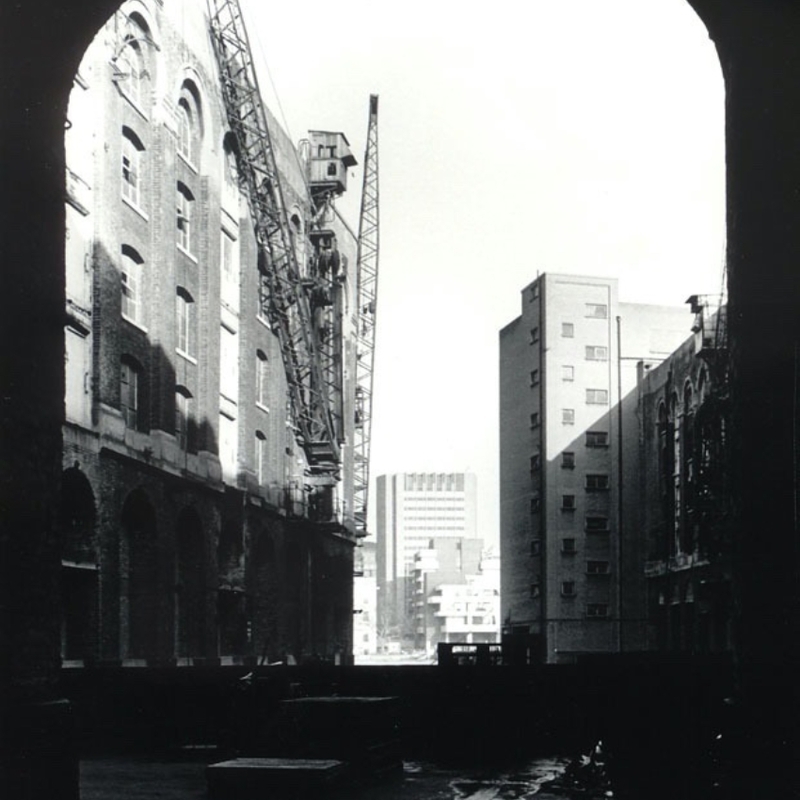 1986 : Saw the completion of phase one of London Bridge City: No.1 London Bridge and the Cottons Centre. 1987 : Hay's Wharf was transformed into a beautifully designed shopping arcade, Hay’s Galleria. Artist, David Kemp, was commissioned to build the giant sculpture, The Navigators, to remember the areas docking heritage. 1998 : The More London Estate was sold to London Bridge Holdings Limited who developed it into what it is today. 2002 : City Hall was completed. 2010 : 7 More London Riverside was the last building to be finished. Present day : London Bridge City encompasses the site of these historic warehouses, with No.1 London Bridge, Cottons Centre, Hay’s Galleria and More London Estate all standing proud within this dynamic riverside food, shopping and entertainment hub.